← Are There No Good Companies? 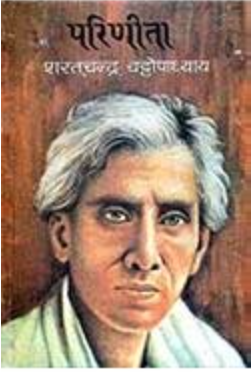 The other day, I started reading Parineeta, by Sarat Chandra Chattopadhyay, in Hindi. I found the translation to be horrible. I could have downloaded an English translation, that might have been better, I suppose. But really, what I would have loved to do, is to read it in the original Bengali. I am Bengali on my mother’s side (Odiya on my father’s side). I understand Bengali well enough but can’t read. Wouldn’t it be nice, I thought, if Parineeta was available in the original Bengali, but written in the Roman script – the script used to write English, commonly and mistakenly referred to as “English” script? For that matter, wouldn’t it be nice if the many of us, who understand an Indian language well but can’t read its script, could easily lay our hands on its literature in the Roman script – the script in which we read every day? Shoaib Daniyal, argues very convincingly in Scroll.in that Devanagari should give way to Roman, as the de facto script for Hindi. While there is no official sanction for it – and it is unlikely to happen any time soon – on the ground the shift is happening already. While more Hindi is still being read in Devanagari (think Dainik Jagran), more Hindi is definitely being written in Roman (think social media and texting). The tyranny of technology, the QWERTY keyboard and the implacable advance in English medium education in India point to a future with a lot more Roman and much less of Devanagari. This is of course true not just about Devanagari, but of all Indian scripts. In fact moving all Indian languages en masse to Roman has great advantage. Not only will we make writing in individual Indian languages more accessible to their speakers, we will also make other Indian languages more accessible. I may not ever want to read Kannada literature, but it would be nice to be able to read the road signs in Jayanagar. Back to Parineeta and making literary classics accessible. If someone has the inclination, here is an idea that would get someone a lot of punya as a non-profit. I hope someone does. I’ll be the first one to buy its product. There’s a large body of work from Indian language writers like Tagore, Sarat Chandra Chattopadhyay and Premchand that are now public domain. In India copyright ceases to exist 60 years after the death of the author. All these books are now free to translate, transliterate or make derivative works out of. Your readers will be all the lovers of great literature from a generation in India that placed such a great emphasis on English that it crowded out the possibility to be a fluent reader in one’s mother tongue. Many of them understand, speak, but do not read, or do not read fluently their mother tongue’s script. If they could buy Parineeta in Sarat Chandra’s original Bengali, but written in the Roman script, I think many of them would be willing to plunk down cash. Like me. You would publish these books on paper as well as on e-readers like the Kindle. Even if I can understand some Bengali, I may still have trouble understanding a work of literature. But with the help of a custom dictionary which allows me to pull up the meaning of a word by just clicking it – much better, no? It won’t be easy to get to a critical mass of books, but it is quite doable. The first hurdle is going to be to get electronic copies (not scans) of the original works. For writers like Tagore, they are already available online. But for others, it might be necessary to recreate the electronic versions. Project Gutenberg has had much success with solving the same problem with English language books. Actually, a Project Gutenberg for Indian language classics would be just what the doctor ordered. Unfortunately, Project Gutenberg seems far too busy to take up non-European books at this time. The next step would be to decide what Romanization standard to use. The Hunterian standard seems to have the blessing of the Government of India for Bibliographies but there are many other competing standards like ITRANS. It should be fairly easy to develop software that converts the Indian script to standardized Roman. An e-reader like the Kindle would be the perfect device to read on. 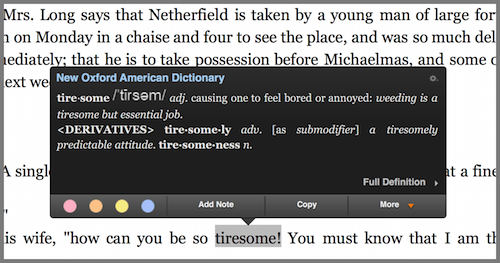 The book would need a custom dictionary, which the Kindle supports. Charging a small price for the books, even though they are public domain, would be totally fair and legal. It’s done all the time by book publishers. In a few years, English will be everywhere. We will all be lamenting how nobody cares about our own languages any more. The way to think about this is to not conflate the language with its script. Once we set the language free, it will get a new lease of life. on the contracry , I know of several people now wh have downloaded Google Hindi keyboard. Writing the language in Roman script is sucking out it’s soul.It might appeal to NRI population but is being reejected whole heartedly everywhere. You go to dainik bhaskar.com , dainik jagran.com and also check the circulation figures, vernacular especially hindi newspapers circulation has grown . The soul of a language is in the language, not in its script. Unless you are a calligraphist. Why not spell all beer as XXXX. The soul of the beer is in the drink, not its name? Just your logic! Let me see if I have it right: since so many of us are largely inept at reading Hindi and other Indian scripts, let’s move to the Roman script. We shall, however, still continue to create exemplary new literature thought out and written in Indian languages because “Many of them understand, speak, but do not read, or do not read fluently their mother tongue’s script”. To overcome a great inadequacy in Indian language education, let us remove ourselves one step further from its foundation and, by some magic, we will continue to be articulate in our thoughts and expression in Indian languages. Loving your language, being proficient in it has nothing to do with the script. The script is a tool. Don’t conflate your language with its script. There are Indian languages today that are written in multiple scripts. Adopting Roman can make Indian languages more accessible to children and adults alike. I think your point is somewhat relevant here. As of now, there is no official language of India that is a well-known fact. Since we live in a culturally diversified nation, we ought to respect and regard each others mode of speaking and writing. This poses a big problem, as we cannot learn all the vernaculars, dialects. So, there must be something which serves as a common medium for the generation-to-come to understand. I would like to add one more thing, today’s parents are so much involved in giving their child the best possible education that they only start their kids’ education in english, from speaking to writing. Now, you cannot go to each parent and ask them to value our culture and teach their kids’ local languages. So, we must do something which will help us and our next generations to preserve the valuable artwork done by the greats. Are There No Good Companies?